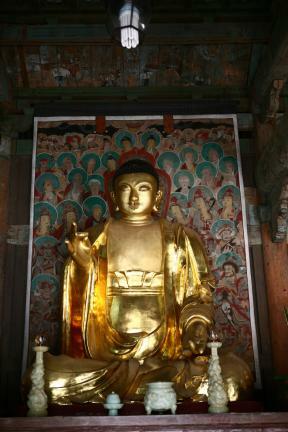 신라 선덕여왕 12년(643) 승려 광유가 창건하여 임정사(林井寺)라 부르던 것을 원효대사가 기림사로 고쳐 부르기 시작하였다. 기림사 대적광전에 모셔진 불상인 소조비로자나삼불좌상은 향나무로 틀을 만든 뒤 그 위에 진흙을 발라 만든 것이다. 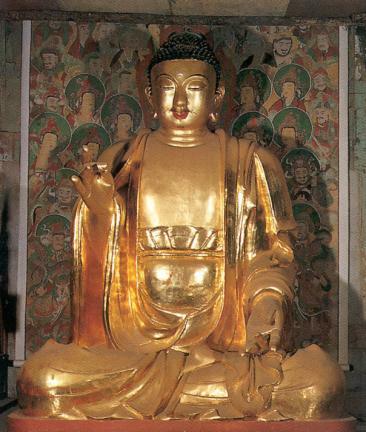 Girimsa Temple was originally built as Imjeongsa by Buddhist Monk Gwangyu in 643 (12th year of the reign of Queen Seondeok during the Silla Period) and was renamed by Buddhist Monk Wonhyo. 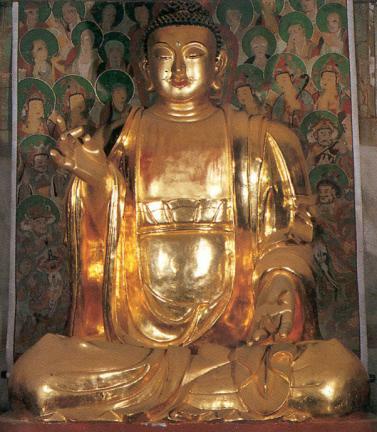 Enshrined in Daejeokgwangjeon Hall of this temple, this clay seated Vairocana Buddha triad was made by placing mud on a juniper frame. 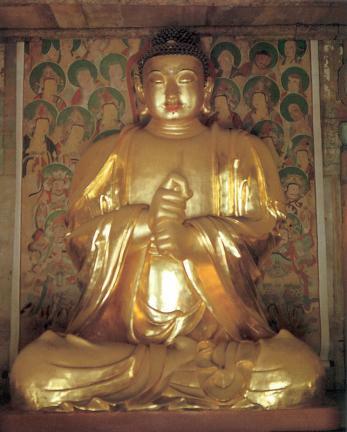 Vairocana Buddha is at the center as the principal Buddha, with Bhaisajyaguru Buddha and Amitabha Buddha on his left and right, respectively, as attendants. The triad has a solemn, refined, and dignified face but simple expression due to the thick clothes and belt around the belly. It is estimated to have been produced in the early 16th century.